Our aim is to create a place where you can learn, be inspired, connect with others and grow. Join us for one our specially curated Saturday Series or guest workshops. Try something new, develop existing skills and meet like minded people in your community. Or, if you have knowledge that you’d like to share, why not host your own? Weekly sessions on Mondays, Wednesdays or Sundays, £345 per family for the 12 hours course. The course covers all aspects of antenatal preparation to help you prepare for pregnancy, birth and parenting calmly and confidently. You will share twelve hours with Kat and a small group of like minded expectant parents, packed with practical tools to keep you and your birth partner super calm and confident during labour. Wednesdays: 3rd, 10th, 17th and 24th July, 7-10pm. Wednesday 24th April 2019, 7-9.30pm. 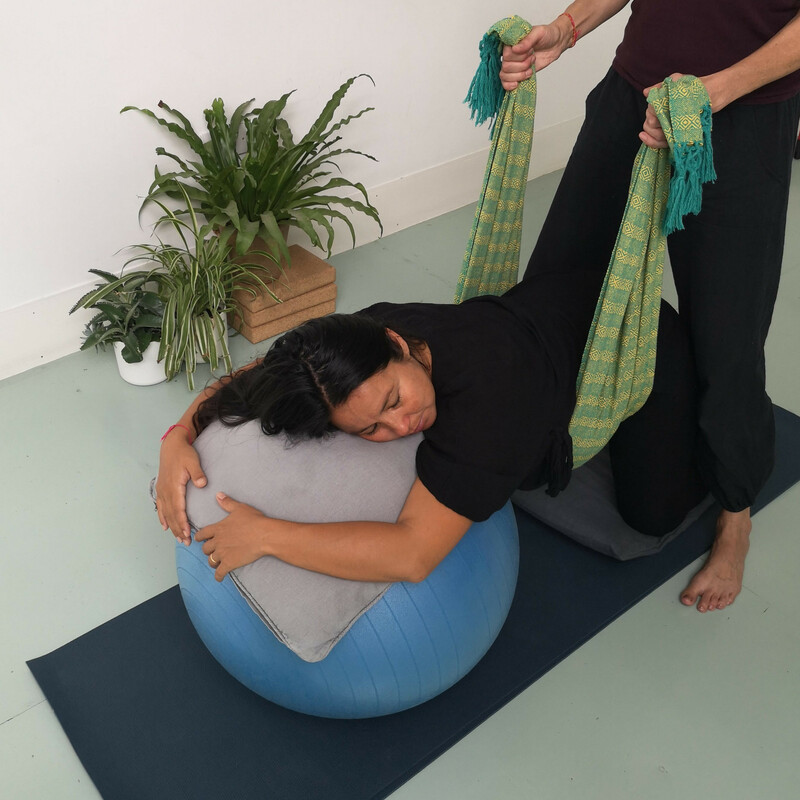 This workshop aims to give pregnant women and their birth partners the confidence to use the invaluable tools of massage & rebozo technique in preparation for, and during labour. A rebozo is a long piece of cloth often worn by Mexican women and a traditional midwifery tool for pregnancy, labour and post-partum. These are really useful tools for birth partners. The workshop will also include information on movements and positions for labour and birth and birth physiology. Please wear comfortable clothing for sitting on a birth ball & kneeling. 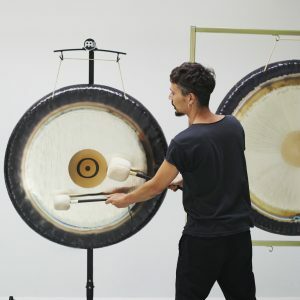 A Sound Immersion is created using gongs and a variety of instruments, with a trajectory of sounds that are designed to induce states of profound physical relaxation, meditation and general wellbeing. Laying down on mats participants will be saturated and cocooned in the live sounds of high quality Gongs, singing bowls, crystals bowls, a shruti box and rainsticks. Join yoga teacher and artist Bess Shipside for celebration of life in creation – in loving appreciation of our fertile planet and solar home, planet earth. 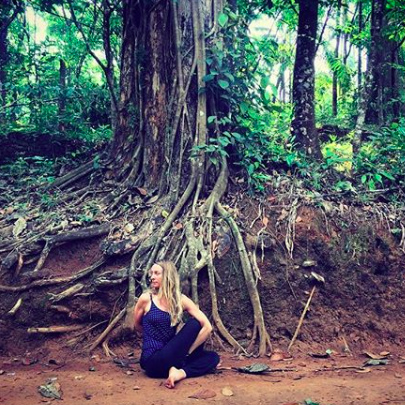 This special full spectrum elemental yoga and art workshop celebrates all things rooted, rising, growing and flowing- the vibrant bio-diversity and grounded wisdom of mama Earth! The value of the earth is one of The Well Garden’s core values. We believe in the importance of sustainability and environmental protection for generations to come. To contribute to a greener future, we will donate some of the proceeds to ecoActive, a Hackney-based charity passionately supporting communities to make positive, achievable changes to help the earth, encouraging people to ‘think global local, act local’. The workshop begins with an earth invoking mandala vinyasa practice. Following, we continue to explore the potency of the symbolic mandala through a meditative guided art session where you complete your own micro to marco- cosmic creation! All materials ( paint, pencils, paper, brushes and some refreshing tea ) are provided. A unique afternoon honouring the journey you’ve been and are on, as a mother, as a father, as a family: incorporating traditional healing with modern psychotherapy, yoga, and hypno-gong. Upstairs in the yoga studio a sharing circle with psychotherapist Caitlin and Katrina will open this transformative experience and then we’ll nourish energy with yoga guided by Yolande. Downstairs in Ash dads (or partners) and babies will be with Karen for baby yoga followed by your own sharing circle with Caitlin and Katrina. We’ll bring everyone together in the studio to conclude with a deeply restorative hypno-gong session combining the power of self hypnosis and sound bath. Join us at The Well Garden for a unique afternoon honouring pregnancy, guided by specialists from the Born Together team. Incorporating Yoga, Restorative Hypno-gong and much more, this soulful offering is a change to embrace pregnancy and birth in a positive way so that you leave feeling nourished, supported and inspired.